Martín-Martínez, D., P. Casaseca-de-la-Higuera, S. Alberola-Lopez, J. M. Andres-de-Llano, JA. López-Villalobos, J. Ardura-Fernández, and C. Alberola-Lopez, "Nonlinear analysis of actigraphic signals for the assessment of the attention-deficit/hyperactivity disorder (ADHD)", Medical engineering & physics, vol. 34, no. 9: Elsevier, pp. 1317–1329, 2012. Krissian, K., and S. Aja-Fernández, "Noise-driven anisotropic diffusion filtering of MRI", Image Processing, IEEE Transactions on, vol. 18, no. 10: IEEE, pp. 2265–2274, 2009. 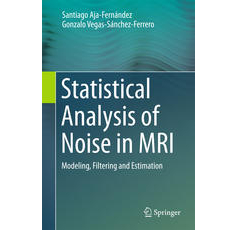 Aja-Fernández, S., A. Tristán-Vega, and C. Alberola-Lopez, "Noise estimation in single-and multiple-coil magnetic resonance data based on statistical models", Magnetic resonance imaging, vol. 27, no. 10: Elsevier, pp. 1397–1409, 2009. San-Jose-Revuelta, L. Miguel, M. Martin-Fernandez, and C. Alberola-Lopez, "A new method for fiber tractography in diffusion tensor magnetic resonance images", Proc. of the IEEE Int’l Conf. on Signal and Image Processing, ICSIP, vol. 6, pp. 380–385, 2006. Martin-Fernandez, M. Angel, C. Alberola-Lopez, and J. Ruiz-Alzola, "A novel error criterion for multiresolution volume data compression", [Engineering in Medicine and Biology, 1999. 21st Annual Conference and the 1999 Annual Fall Meetring of the Biomedical Engineering Society] BMES/EMBS Conference, 1999. Proceedings of the First Joint, vol. 2: IEEE, pp. 1159–vol, 1999.